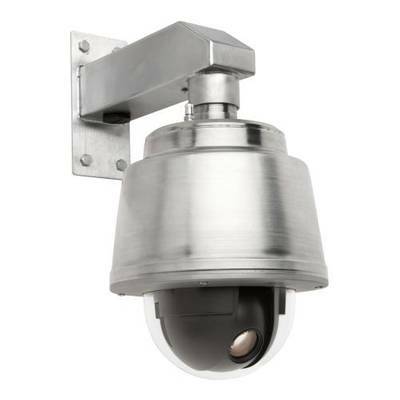 The AXIS Q60-S PTZ Dome Network Cameras in nitrogen-pressurized stainless steel casings can resist the corrosive effect of sea water and cleaning chemicals, and withstand high-pressure steam cleaning. Pressurized nitrogen prevents internal condensation. Axis Communications launched three outdoor-ready, marine-grade stainless steel cameras that enable 360° coverage of wide areas in resolutions up to HDTV 1080p and great zoomed-in detail with up to 36x optical zoom. AXIS Q60-S cameras, with SAE 316L stainless steel and a nylon clear dome cover, can operate in -30°C to 50°C (-22°F to 122°F). They have IP66, IP6K9K, NEMA 4X and MIL-STD-810G 509.5 approvals, ensuring protection against dust, rain, high pressure/steam jet cleaning, snow, ice and salt fog.